The Shaman’s Art Journal book series offers rare insight into Peace Mother Geeta Sacred Song’s spiritual journey from shamanic apprentice to fully enlightened Peace Shaman. 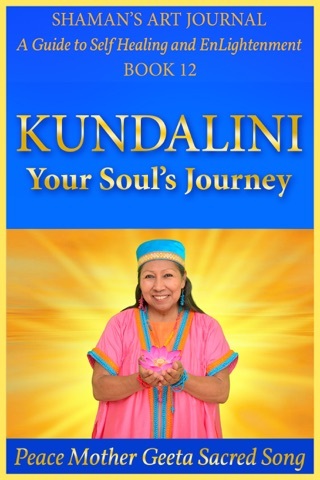 Each book contains inspiring teachings drawn from Peace Mother’s global shamanic healing work as well as time-tested shamanic exercises to activate and expand the Peace, Healing and Light in your life. 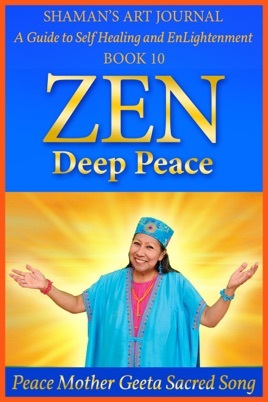 In Zen: Deep Peace, Peace Mother imparts shamanic wisdom on how to cultivate deep states of inner Peace and what you can do to overcome the challenges in achieving the state of Zen in your daily life. In this illuminating book, the Holy Mother shows you how Deep Peace is possible, regardless of your worldly conditions. Peace Mother’s Life-transforming Teachings include easy, yet potent exercises that will help you maintain consistent inner stillness by connecting with the divine flow of Grace. Holy Mother’s examples of moments in Her own spiritual journey where Her commitment to Peace was tested will inspire you to transform pain, hardship, grief and dilemmas into Golden Strength. As Peace Mother deepens your understanding of the Golden Universal Laws and Divine nature of all existence, solace arises in knowing that the trials you face are simply there to propel your Soul expansion. The accompanying Light Activation Artwork emanates a vibrational frequency that supports your Soul’s quest to cultivate unwavering stillness. Connecting with the vivid imagery of the included Sacred Artwork activates the Peaceful vibrations within you to heal negative emotions and free you of limiting beliefs. With the uplifting Teachings, meditations and contemplations found in Zen, Deep Peace, you can experience the holy fountain of Deep Peace within you that blesses your life in countless ways and become more aware of how to flow this Deep Peace vibration into your world to infuse every being and every moment with tranquility. As you implement the sacred perspectives and practices revealed, such as viewing your mundane duties as Seva (Sacred Service to the Light), you expand your awareness of your own potential to shape the Universe in the most Golden Way. Through Spiritual Teachings on time-management, dissolving stress, and your Divine Power to shift realities, you will gain supremely effective Sacred Tools that EmPower you to surf the waves of Life’s activities with Grace, Dignity and Deep Peace. 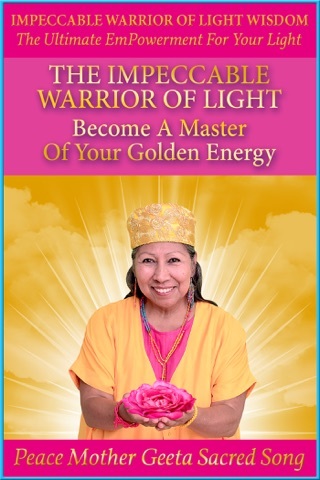 In Zen, Deep Peace Peace Mother’s spiritual guidance opens your eyes to greater self-understanding and reveals how to saturate your mind in the Golden Essence of the Universe. Learn how Maya, the Cosmic Force that creates illusion and delusion, blocks you from enjoying constant Peace. 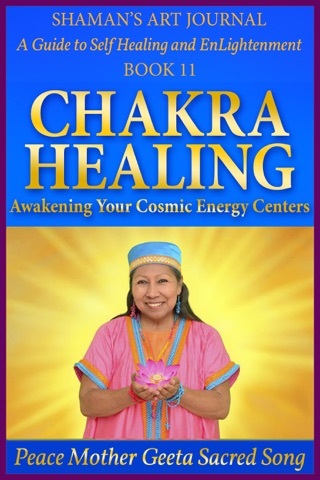 Discover the vast creative and spiritual power within you to break free of Maya’s energies that attempt to disrupt your inner and outer Deep Peace. Peace Mother also includes exercises that you can use to help others receive peace, healing and enlightenment. Peace is always available to you! To live this reality, dive into the Ocean of healing and enlightenment found in Zen, Deep Peace today! During Peace Mother’s evolution from yogini and shamanic apprentice to enlightened master, Spirit instructed her to paint sacred Light Activation images. Although not trained in painting techniques and fearful of failing, Peace Mother overcame creative insecurity and surrendered to Spirit’s will. To Her delight, Spirit poured through Her hands, creating thirty healing images that activate your inner light, heighten intuition and expand healing abilities. Each book in the Shaman's Art Journal series includes a Light Activation painting with related shamanic wisdom teachings and self-healing exercises. In addition to accelerating the reader on their spiritual path, this powerful combination of liberating tools has also been designed to resolve and heal the doubts, fears, attachments and regrets which prevent a seeker from experiencing a joyful and peaceful life. from the soul's illumined perspective.